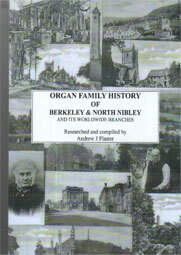 Andrew Plaster of Bristol England, has published his second book, 'Organ family history of Berkeley and North Nibley' totalling over 200 pages. About 80 Organ distant cousins turned up at the launch. The book contains 28 chapters including world-wide branches that originated from these two Gloucestershire parishes, contributed by other Organ family historians. If you would like to learn more about this new release or how to purchase information, simply download the order form or contact the author, Andrew Plaster. 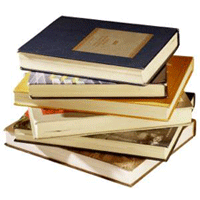 David Organ of Cheltenham, Gloucestershire has published a new book. 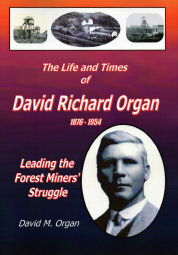 A glimpse into the past, tracing the origins of the Forest of Dean branch of the Organ family and in particular, the activities of one man during the troubled times of the 1920's when the Forest of Dean miners and indeed the whole of the United Kingdom were in such turmoil. The book consists of 56 pages in A4 format, perfectly bound with over 60 photos /charts etc. ISBN 978 0954194529 and is now available online through David Organ's aviation website page at http://www.gyrobooks.com/gyrobooks_018.htm or by post via the order form.